Activities and discussions to introduce the idea of adding. 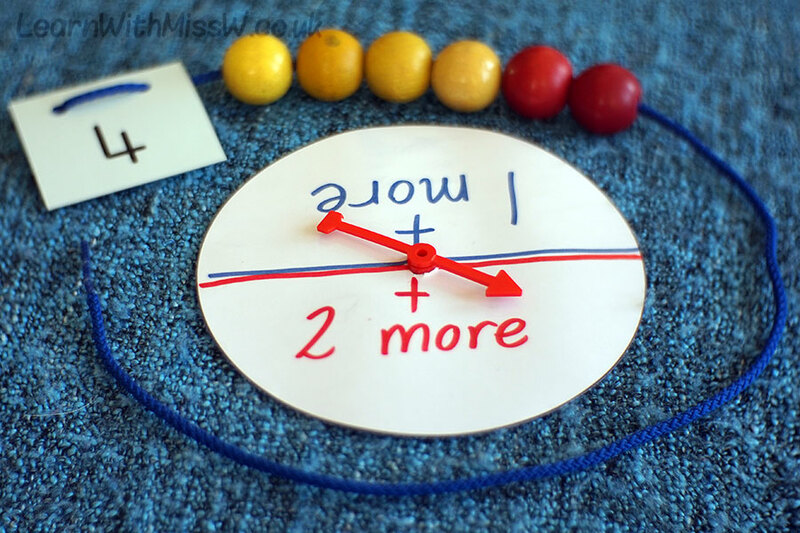 This activity is based on counting a starting number and then adding on more. We chose a number thread and a colour for the first addend. Then we used a spinner to decide how many more to add on and switched colour. I modelled how to talk about the operation we had performed: “I started with 4 and then added on 2 more.” Children worked independenty on making adding threads. For a plenary, we reviewed some of the adding threads, practised explaining the operation and I emphasised that we had added on more to make a bigger number. Please feel free to download this adding activity and other number games.